TIPS: Get the house ready to sell. 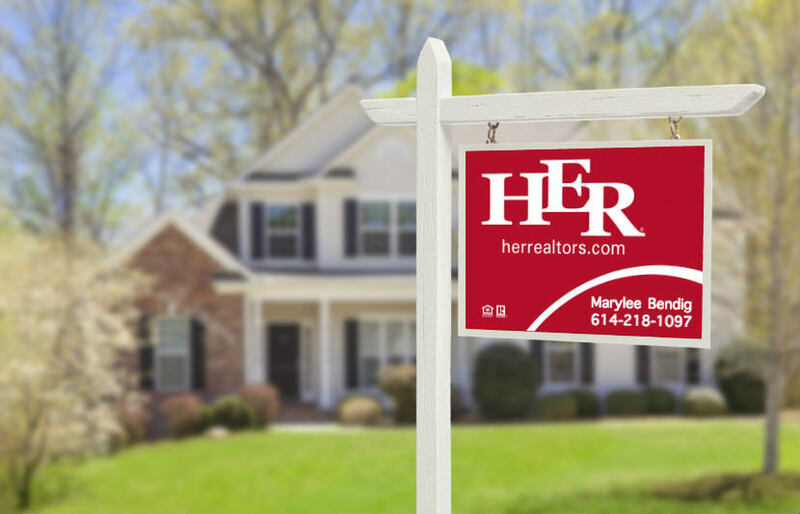 Our real estate team has been engaged in countless homes for sale in the Groveport and surrounding areas. Even with guidance and recommendations, you would be amazed at how often we encounter a listing where even basic preparation has been neglected. Through a little work, you can establish a measurable advantage over comparable homes, and bring in top-dollar offers in less time. So, we have put our knowledge to print and composed a checklist of (mostly) small things that can make a huge difference. Print this page if needed. At this point, if there are any items that you are not planning on leaving in the house (window coverings, built-in appliances, fixtures, possibly a chandelier, etc.) please remove them now. If a buyer never sees these items, they won’t ever want them. On the other hand, if you have to tell a buyer they can’t have an item (after they’ve seen it), they’ll likely resent the situation and find another property. It’s better to avoid a conflict if at all possible. Essentialism, minimalism…just eliminate the clutter. Open each drawer and examine its contents. If it’s not needed, throw it out or move it to your storage unit. Clear out the junk drawer, and use that space to spread out cooking utensils. Neatly stack dishes, plastic goods and pots & pans. Glasses should be turned the same way, and coffee cup handles should face in the same direction. Organize the spices and food. Your goal is to create space between items in the cabinets, and move excess to your storage unit. Remove everything from under the sink. Scrub the base of the cabinet. Buyers need to be able to easily see the cabinet base, so don’t put too many items back in there. Buyers will be looking for any obvious signs of water leaks, as well as general condition. The refrigerator – Single calendars, a shopping list or a recipe magnetically attached is okay, but clear everything else. Don’t forget to vacuum between the fridge & cabinets. Counters should be absolutely bare. Remove telescoping makeup mirrors or hair dryer hangers, then have the holes filled. Bent towel bars and rings should get replaced. Walls & shower doors need to be relatively clear. Remove any hanging personal items like shower caps, robes or soiled towels. Open cabinets, drawers and medicine storage areas, and remove old / unnecessary toiletries & medical supplies. Avoid placing too many items under the sink areas. Keep only the essentials. Closets must be arranged, and towels should be folded in neat stacks. If you have a clothes hamper, move it out during the sale process. Extra sheets, bedding, oversize towels or anything that takes up large amounts of closet space should be moved out. Bedding should always be neat & crisp. A couple throw pillows are okay, but avoid filling your headboard with numerous fluffy items. Bedroom closets should have hanging clothes arranged neatly, facing in the same direction and like items grouped together. Line up shoes by type and minimize clutter on shelves. Storage boxes should be moved to your storage unit. Houses shows better with less furniture. Remove any pieces that squeeze pathways. Depending on the size of your kitchen or dining room, removing extra leaves from tables will rooms appear larger. Don’t forget about your patio furniture. If your patio furniture has seen better days, remove it. Remove mowers & yard tools. Hang bicycles or parked them out of the way. Declutter the shelves. Discard or remove paint cans, gas cans, insecticides, weed killers, and hand tools. Garage floors get a good sweeping and wet cleaning, if possible. Now comes the deep cleaning! While this list is not inclusive, use it as a guide to cover many of the “issues” that alarm potential buyers. When encountered, buyers become concerned about what they can’t specifically see. If it seems a little much for you do yourself, here is a list of trusted contractors. Wash windows inside & out. Dust & clean the furniture, blinds, ceiling fans, chandeliers, and air-conditioning/heater returns & vents. Wet clean every door, especially the doorknobs. Repair stained caulking in the bathrooms. Use glass cleaner on chrome faucets and mirrors. Mop tile/wood floors weekly and vacuum carpet every day. Replace or remove worn out carpet. Homeowners become used to specific smells (especially pets) and become somewhat oblivious to them. An odor neutralizing spray, scented candle or carpet freshener can help immensely. Just do not to go overboard. You don’t want to create the impression that you’re trying to cover something up. Most buyers will use a home inspector. Quite often the “problems” are somewhat trivial in nature. Experienced buyers can often sift through the unimportant items of concern, but occasionally a new buyer reads an inspection report, and their anxiety simply overcomes them. It’s always best to address as many repair items as possible up front. Most are easy but, if you need help, we have provided a list of some of our trusted contractors and handymen that service Groveport and surrounding. Tighten hinges, or replace stripped out screws (go one size larger) for any cabinet doors that might not be aligned. A new coat of paint can work wonders for the interior appearance of your house. Have you ever experienced a water leak that’s stained the ceiling or walls? Are the kid’s rooms painted in pink, purple or blue? Hit these areas with good quality primer & sealer. Then, consider painting your walls a light beige or light neutral color, especially if you have grown accustomed to bold decorating tastes. Your decorating colors may be beautiful, but buyers might not be into your color scheme. Simply put, light – neutral colors make rooms feel bigger and brighter. Plumbing Fixtures – When selling a house, fixtures need to operate and look brand new. If yours don’t, you can easily swap them out. Don’t forget about the shower heads too. There are economical options for replacements, and they take minutes to install. Fix squeaky doors that don’t close properly, door knobs that stick and locks that don’t engage. Usually, these are fixed quite easily with a slight adjustment, some WD40, or thicker screws for hinges that are pulling out of the frame. If you’ve considered replacing a worn bedspread, now is the time! The following section is THE MOST IMPORTANT to address. “Curb appeal” is a make or break issue for most buyers. If buyers don’t like the exterior, they won’t even get out of their car to go inside! Repair wood-rot. Most often found around doors & windows, soffits & eaves, and siding near chimneys. Most of these repairs can be completed inexpensively and will have a dramatic effect. Make sure that rain gutters are attached to roof-lines, and downspouts are attached to gutters. Remove, clean and/or repaint shutters. Exterior Lighting can very easily date a house. Take a look at the fixtures near the front porch and garage. If they are severely sun baked, or if the glass is broken or cracked it’s time to replace them. Exterior lights are inexpensive, yet they completely change the look of a house. Trim bushes, low hanging or dead tree limbs to allow a clear path to the front entryway. Mow and trim the lawn and keep it manicured during the sale process. If there are any dead spots in the grass, make sure you put down some sod to fill these in. Sod is inexpensive, and with adequate watering, it blends right in with the surrounding grass. Plant colorful flowers in your flower beds. Add fresh mulch. Rent a pressure washer to spray down sidewalks, the driveway, and exterior of the house (siding, brick, stucco, etc.). Power sprayers can yield dramatic improvements, but be especially careful around windows and soffit air vents. The rental store can guide you. Lastly, make sure that potential buyers have an unobstructed view of your address (and your Agent’s sign). When they start making calls the buyer should be able to tell agents exactly which house they’re interested in. Just this once…ask for their opinion. Ask family members, friends and neighbors to role-play as a buyer, and walk the property with you. Remain open to advice that’s shared with you, and don’t get discouraged or dismiss any of the opinions that are offered. Walk down the street with your “buyers”, and turn to face your house. Take a look around. How does your house compare with nearby properties? Does yours have a nicer curb appeal than the surrounding area? Enter the house from the front door. How does it smell? Can you easily move from room to room without walking around obstacles? Spend time in the entryway of each room. Does the furniture need to be moved to create a better flow? In order to get that perfect offer, it requires careful planning and a keen understanding of how to present your home so that it will have buyers scrambling to sign a contract. If you apply the home seller tips contained in this section, you will have a significant advantage over the majority of the home market. I will guide you. Let’s get started.